A Short-Cut to Improve Program Impact: Interested? Maximize your organization’s efficiency, effectiveness, and impact with an investment that offers the potential for exponential returns. Have you ever tried to solve one of those complicated puzzles, where you have to separate several interlocking pieces? Personally, I find them nearly impossible – and very frustrating! Some people spend hours trying to solve these puzzles before finding a solution, or giving up. For some folks, the fun is in the process of figuring it out. For these people, showing them a solution—even if it saves them hours of effort—isn’t the point. But what if your organization were trying to solve a problem? 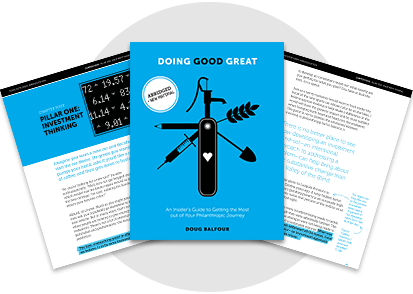 In fact, what if helping to solve complicated social problems was at the heart of your mission, and every hour your staff invested was time your organization (or your funders!) was paying for, and had significant opportunity costs as well? It would make sense, then, to ensure that you did everything possible to equip your team with the skills, thinking, tools, and processes to find better solutions, to better assess their progress toward realizing these solutions, to better communicate impact, and to be more efficient and effective in the process. 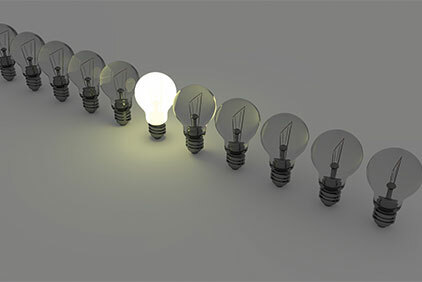 In seeking to improve effectiveness and impact, organizations often focus on defining or refining strategy, on automating systems, or on identifying new and better grantee partners. These are important components. But too often overlooked and undervalued is an option that offers significant leverage: developing your staff’s skills and upgrading tools and processes. The benefits of improving skills and upgrading tools and systems can be exponential. Looking for efficient and more effect program design, partner selection processes and outcomes? What about more effective partner capacity assessment and strengthening as well as clearer and more useful program metrics, measurement, and impact communication internally and externally? 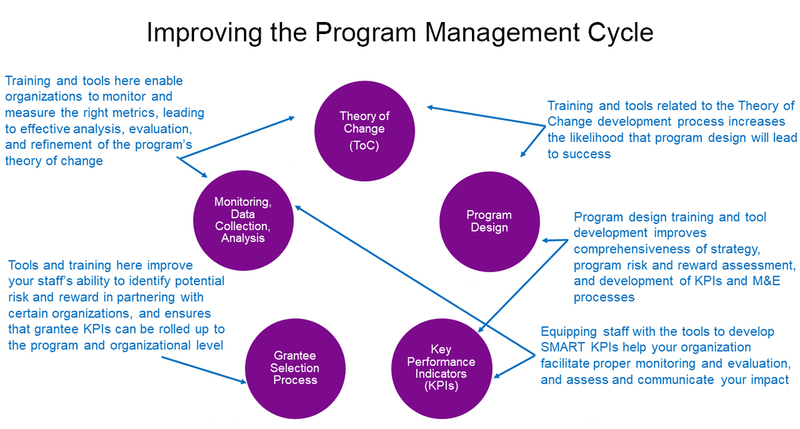 Investing in training and developing your staff and in improving tools and processes for program cycle management can help achieve all of these. 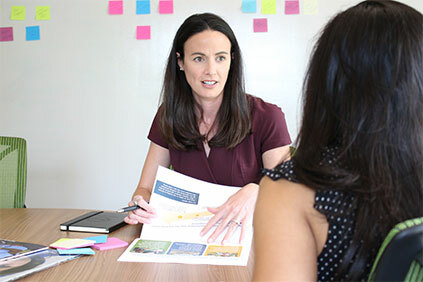 We’ve honed our program management expertise over nearly two decades of designing and managing programs on behalf of clients, across multiple development sectors and geographic regions. Every so often, we’ve stopped to review and refine our own processes, realizing efficiency and impact gains each time. We regularly build staff capacity by drawing on decades of experience internally, as well as by investing in external trainings that can help us address a gap in our experience or skill set. Drawing from our own experience, we also help foundations and non-profit teams hone their skills and processes as well. As we’ve worked with clients, we’ve seen first-hand the value in investing in staff training and tools and process development. 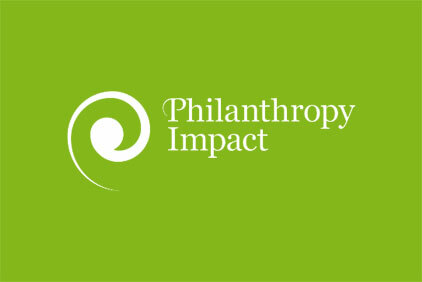 One organization we worked with was setting up a new grant-making foundation. Their staff were smart, capable, and had regional and sector expertise, but they lacked program and grant management experience. more clearly understand and communicate project and program-level impact. The team now understands how to partner with grantees to assess a project plan, identify risks, and agree on project benchmarks. They have the tools to monitor progress and guide program management decisions. Essentially, they are a new organization operating like one with much greater experience. Another organization we worked with is a non-profit focused on education programs in the developing world. Like the first organization, this team was smart, dedicated, and had relevant sectoral experience, but had never designed, implemented, or managed education programs in the developing world. After nearly a decade, their programs were resulting in very positive outcomes. However, the organization’s team reflected that they had made a lot of mistakes along the way, and, while the current results were good, the journey of developing an effective model took significantly more time than it needed to. They were also aware that there remained significant gaps in their skill sets and program management processes and tools. These gaps undermined the organization’s ability to effectively assess improvement over time, compare their results with similar programs, communicate impact internally and externally, and demonstrate their unique value to potential funders. A relatively minimal investment in external training of staff early on—combined with the right tools and processes—could have resulted in months of work hours saved, as well as significantly improved their ability to assess and improve their programming. In short, an upfront investment in training and tools development would have enabled the organization to help more children achieve greater educational outcomes—in less time and likely at a lower cost—and to communicate the impact more effectively. Newly established: If you have recently set up shop and your organization doesn’t have carefully designed tools or processes, and/or your team lack program design and management experience, then investing in training and tools can save you months or even years of time and effort, as well as equip your team and organization for exponential improvement. Significant scale up: If something has triggered significant staffing growth, it is worth a review of your processes, tools, and training needs to reduce organizational drag that could limit the benefits of scaling up. Investing in training and tools can help bridge the gap between less experienced staff and their more advanced colleagues, improving junior staff’s confidence, while also increasing their value and reducing the time needed to manage their work. Limited program management experience: Perhaps you’ve hired subject matter experts with limited program design and management experience. Or maybe your team is smart and passionate, but haven’t yet designed and managed programs. Investing in their program management education could round out their abilities to lead your organization to success. Outdated tools and processes: If you haven’t reviewed, refined, or completely revised your program management processes and tools for a while, chances are a refresh could result in gains in efficiency and potential for impact. DIY: If most of your staff began their careers in your organization and/or if most of your tools and processes were developed internally, an external review can uncover blind spots that may be reducing efficiency, effectiveness, and potential for greater impact. 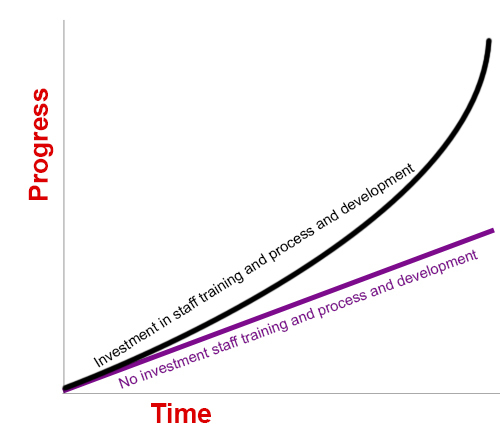 Whatever is driving the need, if you are looking for greater efficiency and better outcomes, don’t overlook or underestimate the value of investing in your staff’s education and training and tools and process refinement can deliver. To learn more about ways Geneva Global could help your organization improve efficiency, effectiveness, and impact, I encourage you to contact us.